High Speed Catamaran (HSC) Our Lady Patricia and Our Lady Pamela were operated by Sealink (the privatised British Rail ferry operation) between Ryde Pier Head and Portsmouth Harbour from 1986 to 2008. They were constructed in Tasmania and they made their own way to the Solent by sea. Both vessels were named after the daughters of Lord Mountbatten, who had been the Governor of the Isle of Wight. 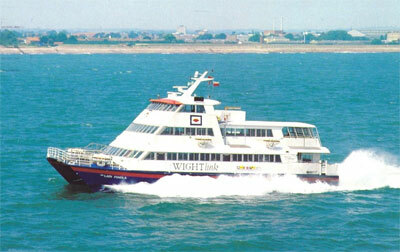 The two High Speed Catamarans were withdrawn from service and scrapped in 2006 (Patricia) and 2008 (Pamela). 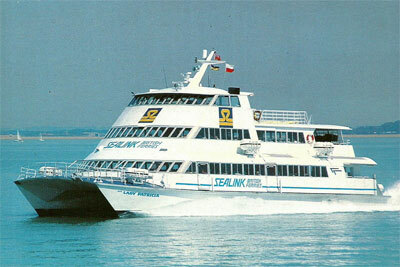 In 1990 the non-Solent operations of Sealink had been sold and the Solent operations renamed Wightlink.